We have three general practitioners whose special interests and expertise are in women’s sexual/reproductive and emotional health issues. We take an wholistic approach to health care and focus on prevention, early intervention and the effective management of chronic conditions. Our doctors’ services are bulk billed to Medicare. Bring your valid Medicare card with you. If you don’t have a valid Medicare card you can still access our services and we will charge the Medicare rate. Who can have an appointment? Because of the demand for doctors’ appointments, when you book an appointment it will often take at least one and a half weeks from the time you phone until the time of your appointment. Our GPs may be contacted by telephone during opening hours. If the GP is not able to take your call, a message will be taken and you will be advised when to expect a return telephone call. Emergency calls will be dealt with immediately. All test results are confidential. Our GPs and nurse will discuss with you how and when you will receive results. All urgent results will be followed up with you directly. About appointments with us: Please be on time for your appointment, we also aim to be on time. First appointments are 45 minutes and follow up appointments are half an hour or 15 minutes, depending on the issue. Reception staff will attempt to notify you of any delays. If there is an emergency, this will be given priority. Missed or Cancelled Appointments: Please phone us if you are unable to attend your scheduled appointment. If there have been two successive appointments or a pattern of missed appointments, your health professional will speak with you about the reasons and your needs. We may not be able to continue to provide appointments for clients who fail to attend. Longer Appointments: If you would like a longer appointment, please let the receptionist know when you are booking your appointment. Home Visits: Speak with your doctor. Home visits may be arranged at the doctor’s discretion for current clients who live within a 2 km radius of the centre. 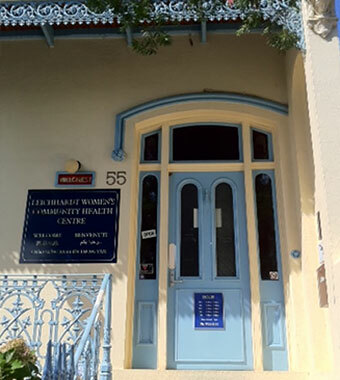 Leichhardt Medical and Dental Practice, 30-38 Short Street Leichhardt Tel. 9561 3333. Reminder System: We are committed to providing you with the best possible preventative health care. Our staff will seek your permission for you to be included on our reminder system. We also participate in State/Territory Reminder Systems. If you do not wish to be part of these systems, please let us know. Management of Your Personal Health Information: Your personal health information is collected and used directly in association with your health care. We will ensure that your information is only available to authorised staff or seek your permission before disclosing it to any third party. If you have any concerns about your health information privacy, please let your doctor or reception staff know. Cultural Background and Ethnicity: To assist with preventative health care, and to ensure your health care is tailored to your needs, you will be asked to identify your cultural background and/or ethnicity. If you identify with a particular cultural background, please let us know when you are filling in your registration papers and, if relevant, when speaking with your doctor or the nurse. We have a No-Smoking Policy. If you would like help to reduce or quit smoking – please let us know. We may be able to offer a range of options. There is no smoking in the centre or its property. Your Rights: If you have a problem with your health care or have had a negative experience when visiting us, we would like to know. Please discuss any problems you may have with your health professional. To make a complaint, please speak with the Manager (tel. 9560 3011 or email manager@lwchc.org.au with your contact details). Feedback and complaints are taken seriously and are used to help us improve.